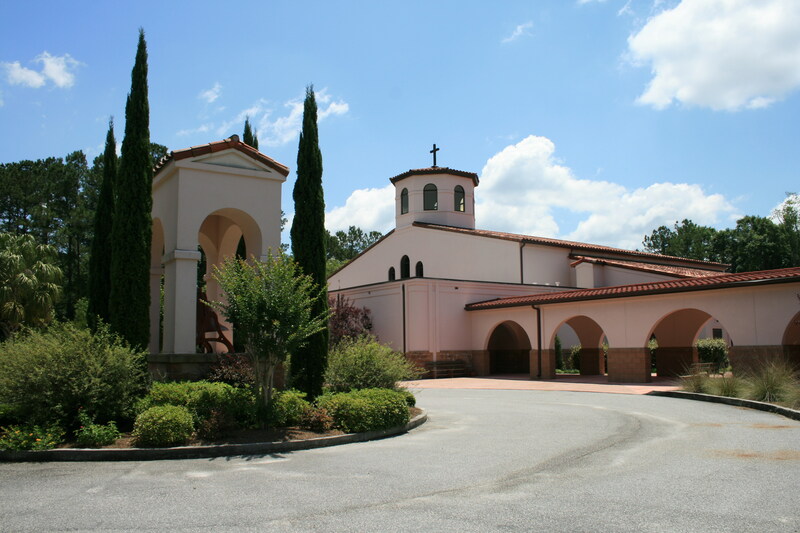 We welcome all to St. Theresa the Little Flower Catholic Church! Visitors are always welcome. From I 26 Take Exit 199a, 17a South - go 6.7 miles, turn left on Fisher Road - go .6 miles, turn right on Dorchester Road (642) - go .4 miles, turn left into St Theresa the Little Flower, parking is to the right behind McManus Hall. (Walterboro): Take 17a north to Dorchester Road (642), bear right on Dorchester Road (642) - go .7 miles, turn right into St Theresa the Little Flower, parking is to the right behind McManus Hall. (Moncks Corner): Take 17a South, after crossing I-26 go 6.7 miles, turn left on Fisher Road - go .6 miles, turn right on Dorchester Road (642) - go .4 miles, turn left into St Theresa the Little Flower, parking is to the right behind McManus Hall. (West Ashley): Take Hwy 61 West to Bacons Bridge Road, bear right on Bacons Bridge Road - go 1.5 miles, turn left on Dorchester Road (642) - go 2.2 miles, turn left into St Theresa the Little Flower, parking is to the right behind McManus Hall. (Bamberg): Take Hwy 61 East to 17a, turn left on 17a - go 1.9 miles, bear right on Dorchester Road (642) - go .7 miles, turn right into St Theresa the Little Flower, parking is to the right behind McManus Hall. (Ravenel): Take Hwy 165 to Dorchester Road (642), turn left on Dorchester Road (642) - go 2.2 miles, turn left into St Theresa the Little Flower, parking is to the right behind McManus Hall. (North Charleston): Take Dorchester Road (642) to 11001 Dorchester Road, turn left into St Theresa the Little Flower, parking is to the right behind McManus Hall. Perpetual Adoration in the chapel, Coordinators and Division Leaders may be found in the Adoration Points of Contact.